If your kitchen looks ugly when you get a surprise visit from a relative or friend, think of how that reflects on their overall impression of your home. Now think how this impression can change if you renovate your kitchen. You don’t need to remodel your entire home. Remodel your kitchen and benefit from the facelift it gives the whole home. 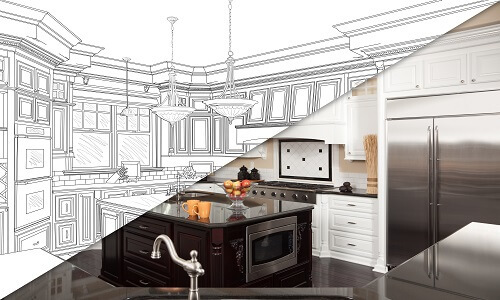 Are you thinking about remodeling your Carmichael kitchen? 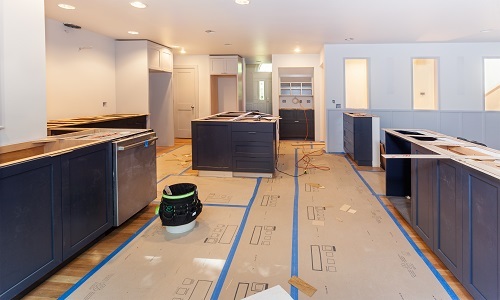 Monster Contractor Kitchen Remodel of Carmichael is currently providing better ways to drastically improve kitchens through modern renovation. Our full-service strategy will make your kitchen remodel experience easy for you and your family. Can you imagine a book without an author? The author is the most important part of any book. In the same way, can you imagine a home without a kitchen? The kitchen is just as important to your home as the author is to the book. Monster Contractor’s Kitchen Remodel team in Carmichael knows that the centerpiece of a modern home and focal point to everyday entertaining and life is the kitchen. Your kitchen is likely your most important room. The kitchen is where you congregate with friends and family. A well-designed kitchen remodel can inspire you in all your cooking, dining, and social interactions. For as much time as you and your family spend in the kitchen, shouldn’t it be the most complimentary to your personality and needs? After a remodel from Carmichael’s Monster Contractor, you’ll be proud to spend additional time entertaining friends or family and showing off your beautiful kitchen. Monster Contractor’s kitchen remodel successes are backed by years of experience and happy customers. With complete follow through from beginning to end, our team consists of highly skilled designers, architects and laborers. You will certainly be proud to have their work in your home. The crews at Monster Contractor have enough expertise to turn your outdated ugly duckling kitchen into a beautiful modern swan. Too many homeowners think they can’t get their kitchens renovated because they fear that the costs involved for the whole process will exceed the depth of their pocketbooks. This could easily be true if you select another construction company that is limited in their awareness of alternative and affordable solutions. If you choose Monster Contractor, you will get a contractor that offers best kitchen remodels at a reasonable price for Carmichael CA. Measurements: Our expert will first come to your home and accurately measure all relevant dimensions of your kitchen. It’s best to measure twice and cut once. Layout: Monster Contractor kitchen remodels will design your Carmichael kitchen layout, including comfortably fitting each cabinet and appliance and faucet. We will revise and redesign the kitchen layout until you are completely satisfied that it will meet your needs, your budget and your aesthetic style. Kitchen finishes selection: Our Carmichael kitchen remodel expert will help you choose the most complimentary finishes for your kitchen so that all flooring, paint colors, countertops, backsplashes, cabinets, lighting and faucets match beautifully. 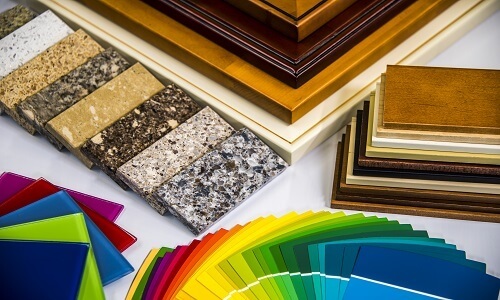 Don’t worry about compromising the quality of finishes; we only use materials and products from manufacturers you’ve heard of and will find the best price on the look you’re going for. Costs: Monster Contractor’s Carmichael kitchen remodel experts help you create the kitchen of your dreams with design and execution that are within your budget. During the preliminary stage, we will also analyze the condition of your foundation and wood framing. If there is need for structural reinforcement or repair, our construction management team will inform you right away so you can include those in your overall budget. As a full-service kitchen General Contractor, we will watch project costs and give you the advantage of spending wisely on what you need and want. We know that the most important tool we can use is communication with our clients to give them the benefit of our knowledge and expertise. Once construction is complete, your new kitchen will be stronger and more welcoming than ever before, making it no surprise why we are the best contractors to go to for kitchen remodels in Carmichael CA. Monster Contractor is currently one of Carmichael’s leading kitchen remodel contractors. Other Carmichael General Contractors find it hard to compete with our quality, range of services, project management skills, affordability, and warranties. Because we are one of the best remodel companies in Carmichael, our name has become recognized as a brand name. Monster Contractor offers a completely different satisfaction guarantee and comfort level for its Carmichael kitchen remodel clients. Choose us with confidence or choose another kitchen remodel contractor at your own risk because they may not strive for the perfection that our ownership demands. The Carmichael Monster Contractor kitchen remodeling team will not stop until your kitchen renovation is complete. Our services are available all year round. If you have been dreaming of entertaining more but feel like your kitchen needs repairs or a whole new look, our kitchen remodel service can convert your space into a chef’s dream or even improve the layout and add cabinet storage. Whatever your kitchen goals, they can be accomplished with the right renovation contractor. Whether you need simple upgrades or full modernization of your space, the first step is selecting a contractor who will match your vision with good planning and design. Monster Contractor’s Carmichael kitchen remodeling team can help.